Danville Public Works Department workers last week began hanging the red holiday banners and candy canes that until last year had adorned the street light poles on Main and Union streets downtown from Thanksgiving through Christmas since 2004. Due to the start last year of the first phase of the streetscape project, city workers were unable to hang lights and other holiday decorations a year ago. With the project now mostly complete, the decorations have returned. In the days ahead, Public Works and Utilities crews will hang snowflake lights and swags on Main Street and wreaths on Craghead Street. The annual effort is aimed at making downtown streets festive in preparation for events such as the annual Holiday Market, which will be held Saturday, Dec. 7, at the Community Market, and the annual Luminary Trail Walk, which will be held Friday, Dec. 13, at the Crossing at the Dan. In addition, the annual Riverview Rotary Christmas Parade will return Saturday, Dec. 14, to its traditional downtown route along Main Street. Construction on the first phase of the streetscape project began in September 2012. The project focused on three blocks of Main Street and one block of Union Street. The activity ranged from widening sidewalks and installing brick pavers to creating more visible and safer pedestrian crossings and providing amenities such as trees, benches and new lighting. The city is in the process of creating a punch list or list of final tasks for the general contractor, Virginia Carolina Paving of South Boston, to carry out in order to end this phase. The contractor will receive that list this week. Construction continues in the second phase of streetscape improvements. This phase began in April of this year. It includes creation of the Main Street Plaza and installation of a fountain in front of Lou’s Antiques and Jakes on Main. Masonry work on the fountain is scheduled for completion in the next two weeks. When completed, concrete will be poured around the fountain. The other remaining tasks include installation of light poles and benches in the plaza and construction of crosswalks on Memorial Drive and Craghead Street. 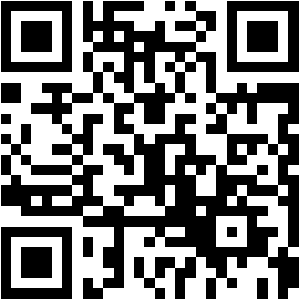 Friday, November 22nd - Click here to learn about their music entertainment for tomorrow evening. Saxophone Extraordinaire Tony Bowman live Friday night at 6:30 in the main dining room. The Golden Leaf Bistro is now open for lunch on Saturdays. "The J.T.-Minnie Maude Charitable Trust bestowed a gift of $100,000 to the Danville Science Center this week. The funds will go toward the center’s 'Create the Wonder' campaign, an initiative to help bring new programming to the Science Center’s Digital Dome Theater." Click here for the full article. 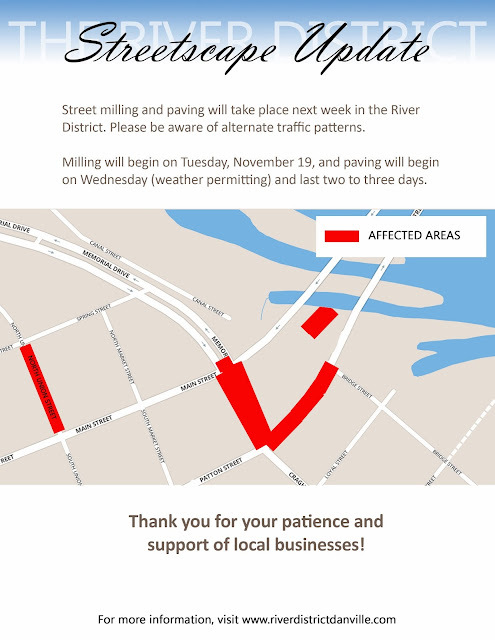 River District residents, employees, and visitors: Watch for altered traffic patterns next week during milling and paving on several blocks.